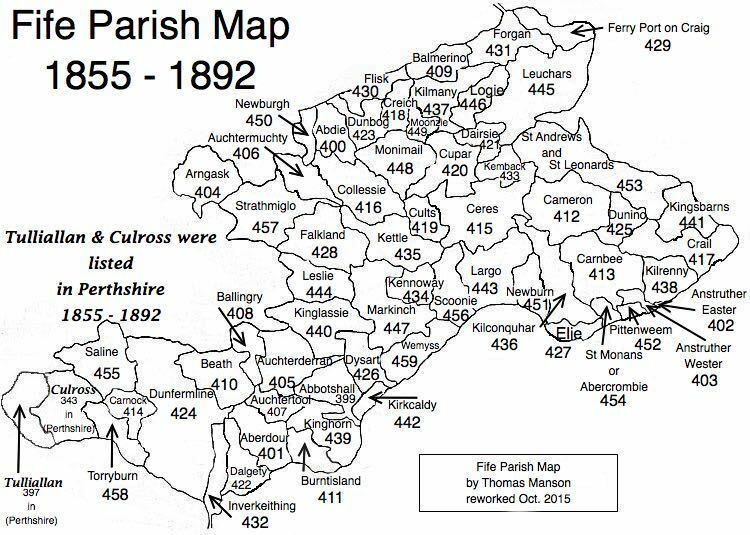 Parish of Cults – The Fife Post………..for genealogy and historical information. CULTS, a parish, in the district of Cupar, county of Fife; including the village of Pitlessie, and the hamlets of Crossgates, Cults-Mill, Hospital-Mill, and Walton; 4 miles (S. S. W.) from Cupar. This parish, of which the name, in ancient documents Quilts or Quilques, is of Celtic origin, and supposed to be descriptive of its situation, lies nearly in the centre of the county. The church, which is situated about a mile from the village, and nearly in the centre of the parish, is a neat plain edifice, erected in 1793, and contains a handsome monument in marble. There is a place of worship for members of the United Associate Synod.